Body Wipes are simple and absolutely safe to be used on your dogs. 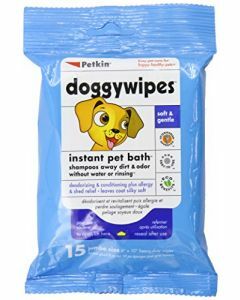 The wipes help in quickly cleaning the paws after a walk in the backyard. The body wipes also support an easy cleaning of the dog’s ears. 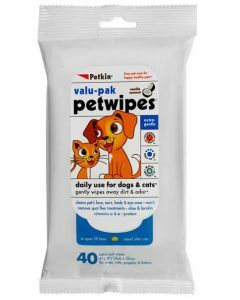 You can find the finest of body wipes for your dogs at PetsWorld, for deep cleansing of their skin and paws. All4Pets Body Wipes available on PetsWorld are alcohol-free for making it suitable for all types of dog skins. They are also anti-bacterial for eliminating germs from the body. 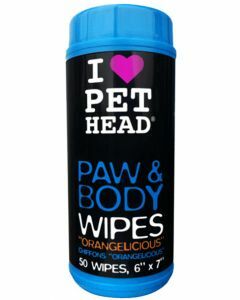 PetHead Paw and Body Wipes are another fine quality pet wipes offering an hyper-allergenic formula for suiting all dog breeds. 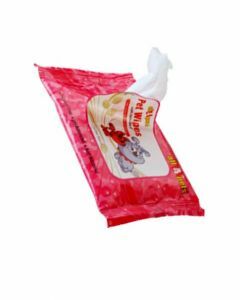 Petkin Pet Wipes is a pack of 100 Body Wipes helping to get rid of dirt and odour from the pet’s body. The goodness of Aloe Vera and Vitamin E boosts the health and wellness of the skin and also makes the coat glow. 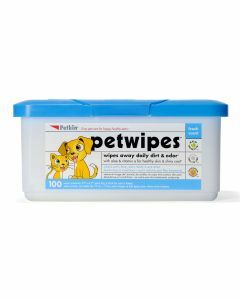 These wipes are approved by the veterinarians and can be safely used in all dogs. They offer lasting protection from bacteria and virus thus keeping them healthy.